Posted May 11, 2009 in Bruno Orbit, Captain America, Sub-Mariner, The Hulk. 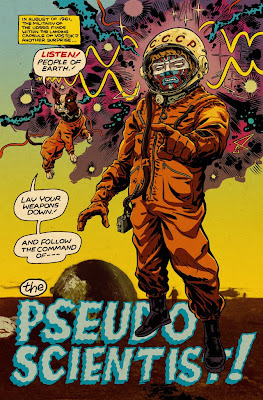 Many thanks to Bruno Orbit (just one of many pseudonym’s) for his contributions to ‘The Project’ this past week. Here is a colourful tribute to Silver Age comics that is available as a print here. 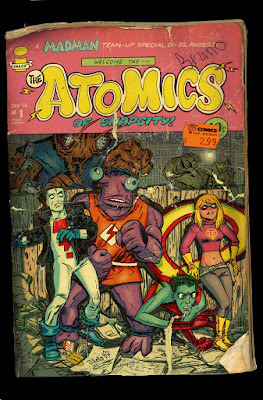 Posted May 9, 2009 in Bruno Orbit, The Atomics. 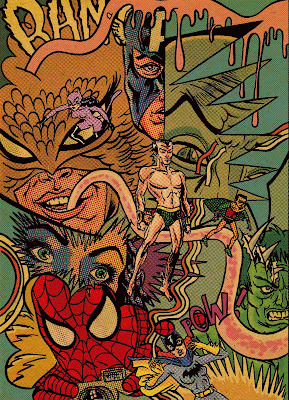 Backcover illustration by Bruno Orbit for Mike Allred’s Kirby-tastic ‘The Atomics’. 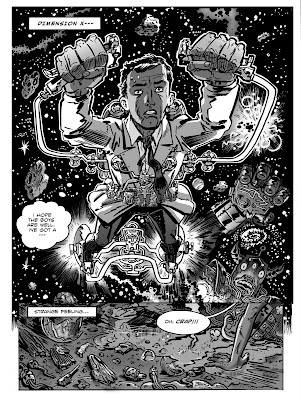 More of Bruno’s lovely stuff here & here. Posted May 5, 2009 in Bruno Orbit, Les Lunatics. Kirby influenced artwork from Les Lunatics, a new project by German artist Bruno Orbit.